BIG Giveaway! 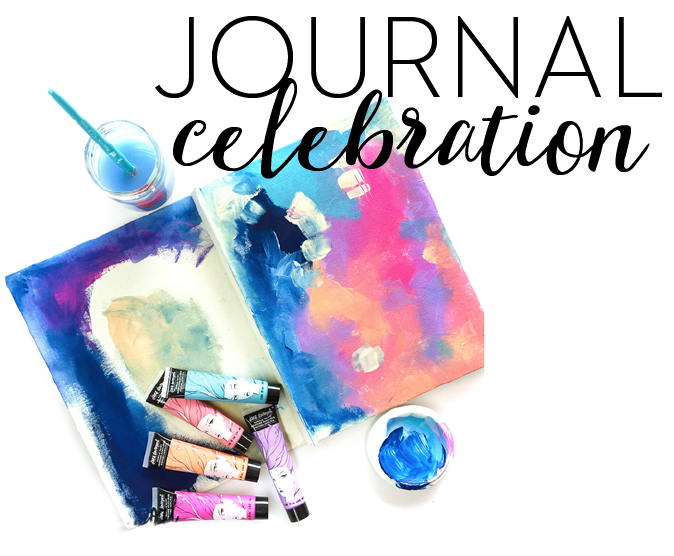 A Journal worth Celebrating! Home / American Crafts / BIG Giveaway! A Journal worth Celebrating! 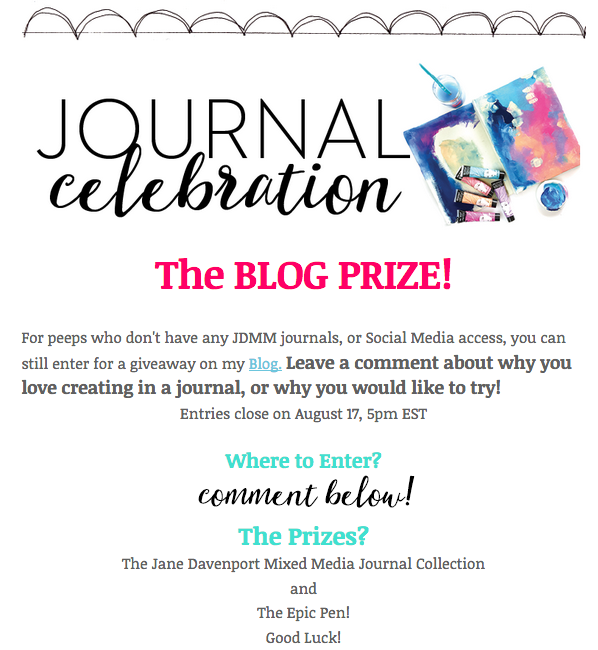 In this post I am going to sing praises for the best journals ever  and tell you about two Giveaways! 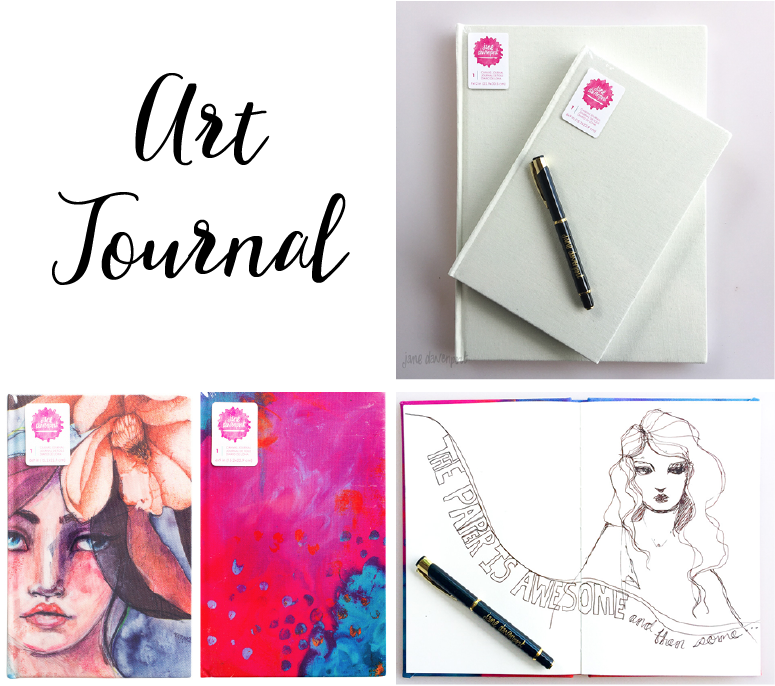 One is on this blog and you can enter today , and the other is on Instagram, so you can share your artwork created in my journals with me! But first…. Did someone say “Journal”? Ok it was me. What makes my Journals worth celebrating? It all comes down to the paper. The paper is LUSH! I have no qualms in admitting I am an absolute paper snob.I believe life is just too short for crappy paper. So when it cam to creating my very own journals with American Crafts, a lot of time and research went in to finding just the right paper. Not only that, the covers lay flat which makes it easier to create in, and easier to scan! Canvas Cover so you can customise with paint and collage. There are two sizes in the plain canvas cover, and two printed designs in the small journals. And there are accessories! As an avid ‘Art Journaler’ I designed some ‘must have’ sidekicks to add to the journaling experience and make life easier. The Journal Girdle is a small pencil case that attaches to your Journal ( I also have one on my iPad!). The Journal Jackets are translucent covers that protect your artwork and also give you some handy pockets inside each cover. I can’t WAIT to see your lovely work on Instagram and read your comments about why you love creating in a journal below! I love your journals because I can easily take them anywhere with lots of fun embellishments in the cool envelopes and pockets, add as many sections as I want and take completed ones out to store and organize any way I choose. I can also reorganize the sections at any time. Journaling is a really fun way to create a record of the fun times in my life and just play with all your wonderful create products. I also love the elastic zipper case and the larger zipper case to hold all those fun creative tools like pens, pencils,brushes, paints, etc. Dear Jane, I watch all your you tube videos over and over. I love your beautiful face, your happy cheerful manner and your beautiful art. 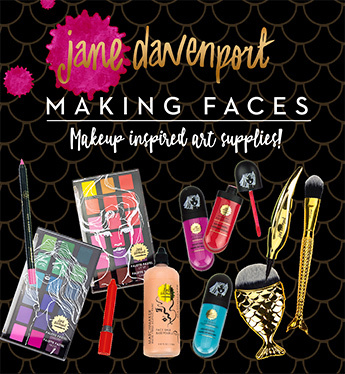 I would love to win your supplies! I have your beautiful faces book and a butterfly book. I see all the art posted and can only hope to achieve similar results. I tried my first art journal page a couple of years ago and due to my hand injury was not able to continue. As my hand has improved I think I could actually try again and possibly do some drawing, though on bad days I could use your wonderful stamps which are on my wish list. I keep a non-art journal of memories and I scrapbook but the wish to explore art is very strong. I always thought I wasn’t artistic until I discovered scrapbooking due to my poor pencil and brush control. It turns out that was due to Dyspraxia so as a adult I realised I was artistic I just needed different tools, then my hand got progressively worse so I had to stop using certain tools and supplies or limit my use of them, it turned out I didn’t have RSI but had actually dislocated my carpel knuckles and it was missed for 10 years. They were put back in 3 years ago and I can do a little more penwork before aggravating things the more time and physio I have. I would love to win this prize as it would allow me to explore art journaling now that my hand has improved hopefully enough to allow me to learn to draw. Sorry if this is a bit of a rambly babble I have the flu and can’t think straight. I so love art journaling because often I find surprising results and sometimes powerful messages after looking back. It’s a forever learning and growing process as far as I am concerned. LOVE your Faces book which has helped me tremendously, and would love to get one of your new journals as well as try one of your workshops! My only experience with a class of yours was in Radiant Faces and it was at first intimidating , but then, wow I was hooked! I absolutely love having a space that is my own. there are no rules, I create what I feel. i like that I can go back and I can tell what my mood was that day. i love flipping through my journals too! I love the play, freedom and inspiration I get. 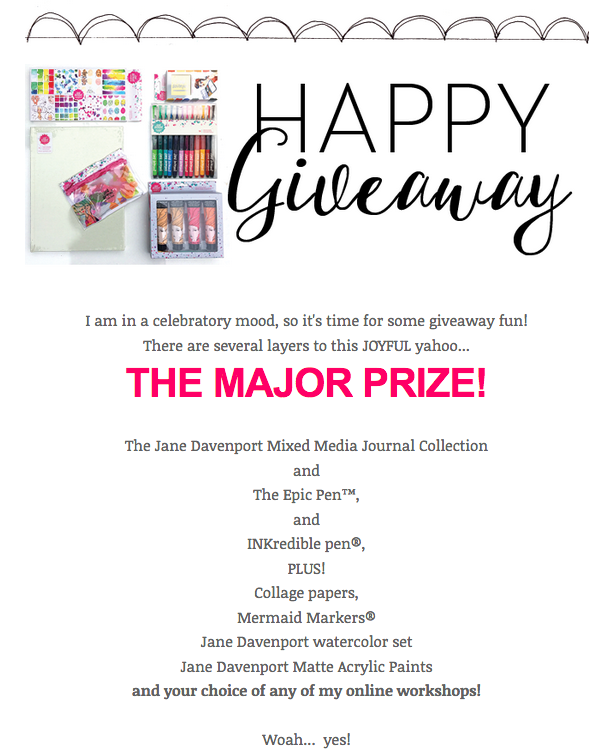 Oh Dear Jane, I do hope I win because art journaling is my whole life! -ok, my dog, too, to be truthful. And I do love art journaling about him, as well! Problem for me is living on a (tiny) disability income, and I want, crave, desire absolutely every product you have. I just spent food money on your luscious (but not very tasty) Mermaid Markers. But that’s good cuz I need to lose weight anyway! The upside to being unable to work is that I have lots of time available- between and at medical appointments, to do said art journaling. I know this doesn’t change the outcome of your giveaway, but it is my journey, and I am sharing it here, and in my journals! Love you! I don’t have one of your journals but I love using your products in my drawing pad that I do have. I have your mermaid pens and some of your paints but I want ALL of your stuff because it’s so beautiful and inspiring! I mostly use your products in my Bible and I love your watercolors because they don’t bleed through the delicate pages and they aren’t chalky like other water colors. Thank you for inspiring me every day to create something amazing! I loooove creating in a journal because it makes me forget time and everything around me, while finding my flow. It’s like entering a dream world, completely caught up in the moment. Just doing, no thinking. Like meditation. Thanks for sharing your knowledge, experience and passion with us, Jane! I wanted to leave a picture of my journal, but I am “old school” and I don’t understand what the hashtag means or how you do it, I miss out on so many contest because I don’t understand that. I LOVE your journals, the PAPERS are YUMMY, and I love how the books fold flat. I have your what I call scrapbook paper, I had to wait till forever for Michaels to get it in stock so I purchased 3 of them, 1 for scrapbooking 1 for cards and 1 for home décor they are to die for. I also have your book, which is the most AMAZING book. I would love to win this bundle as would everyone, it would really be a dream come true. I need a new journal as mine is packed full and I am ready to start a new one and I would love to try your markers and paint which I have not been able to try yet but I have been dying to try them. Thank you for the chance. 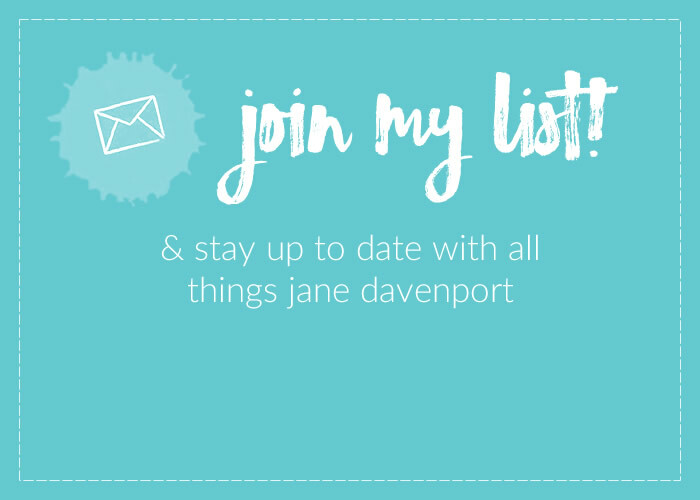 I’m just beginning my journey with Jane Davenport, and am so impressed with it all. 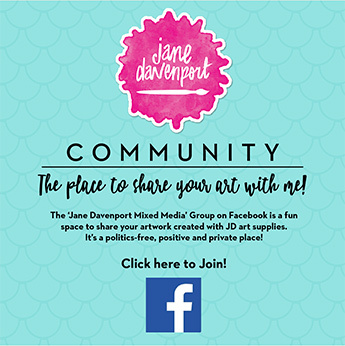 Love your artistic sensibility, and am looking forward to doing workshops and following the JD community here! I would love a JDMM Journal because I love that they lay flat making it easier to scan your images! However, every time I’m ready to purchase one at Michaels or online they are sold out, it’s the same with the Mermaid Markers (insert sad face). Anywho, I like journaling because it’s a huge stress reliever and it’s fun. I must say that I don’t journal regularly like my 12 year old daughter (she’s an awesome little artist) who is faithful to her journal and does it daily, but when I do I make a whole day of it. 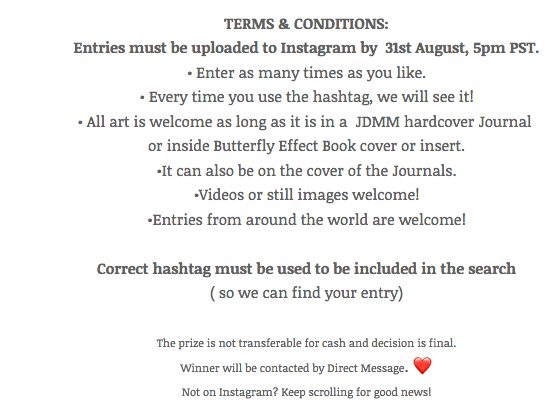 I would love to win JDMM Journal as it would be a gift of self care & I need to develop the creative side of me rather than keeping it hidden. 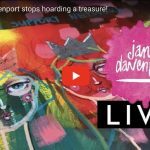 I’m a Davenpeep, but I don’t own one item of Jane Davenports Mixed Media Art Supplies – yet. 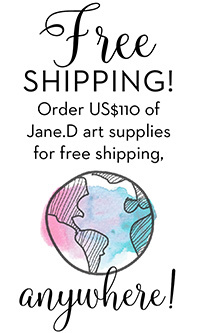 I have a (looooooooooong) list of all the products I would like to own, and #1 and #2 wish on that list is the INKredible Pen and the Art Journal. I miss good paper!!! 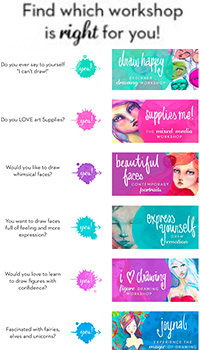 The Mermaid Markers and the two sets of Watercolours – especially the bright palette – are #3 and #4 on my wishlist. And from there I would just like to try all the other JDMM products. I love colors and colourmixing. Just love! It makes butterflies in my stomach to think of the joy it would bring by owning the products in this GiveAway. Not that I pay tribute to materialism – on the contrary – but to Art Supplies: I have a growing addiction….. I love using a journal as it’s a record of all my progress and gives me the freedom to just play 🙂 A JD journal would be even better! I have a daily sketch practice in my journal, and I have started to add splashes of watercolor to them. It is such a joyful practice. I also have a sketch/scrap journal. I have added all sorts of paper in them, and just play with the pages. 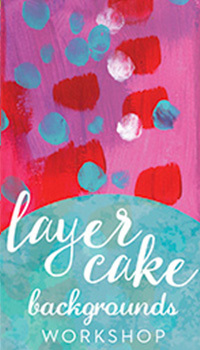 That is what art journaling is for me at heart: play. 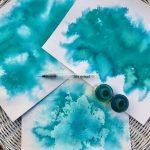 I love to mix and match snippets of paper with beautiful colors, and then add my own colors to them, and doodle over them with waterproof pens. No matter how tired I am after a session, I smile so big. I just adore the freedom art journaling gives me too. The more I play, the more free I feel. The more ME I feel. I rarely win anything so usually don’t bother with these things but your supplies are amazing and your work so beautiful that for once l thought that l would at least try. I am new to this art journelling and very much a beginner but the joynal has a least started and l love it! For it takes me away from my troubles.I have no troubles when l journal ,l forget my loneliness as a single person, forget that life seems to be one long struggle and full of disappointments.Happy and free am l in my own little world , you could say and l always forget the time too! It just flies by at a great pace! But l can be myself and just get lost in the moment.I am a lost soul anyway , so perhaps being creative was aslways meant to be.I would be at my happiest working with your art supplies so I have hope in my heart that this my bloom into a prize . 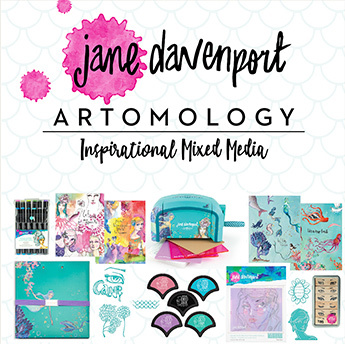 Hi Jane, i have winning a giveaway Mermeid Set and get a little journal form a davenpeep … i let a comment here before … because i haden’t your supplies JDMM. I am very new to the world of journaling and do not have a proper journal. Your journals look lovely and with your inspiration I think it will help me work in a journal on a regular basis. I have a journal with lots of background layers but am stuck as to what to do next. Would love a chance to be selected for this giveaway. I have your water colors and love playing with them. My sister has started journaling and since she lives so far away, we aren’t able to play together but I’ve been sharing some of my stuff with her. Would love to take one of your workshops to learn how to use your water colors better as I’m just starting to use water colors. I’m still a long way from ready to post my work online, so my journal is a safe place to create, knowing I never have to show it to anyone if I don’t wish to. And now that I’ve been at it a while I’ve come to appreciate how looking back through the older ones shows me just how far I’ve come in both my art and personal growth. Hello Jane, I do enjoy journaling. I’m fairly new at it. I have found how to FREELY express myself through art journaling. It brings me great joy, and happiness to create. I’ve even got my father doing more of it. I have a friend that’s always using your products, and showing me what you have out, and I would love to be able to create with your products. I’d love to try one of your notebooks the paper looks great. I’m trying to develop a daily journal practice..I suddenly have more time as a shoulder replacement required an early retirement. Love your work it’s so upbeat and inspiring. I used to write poetry in beautiful journals with different colored gel pens. They were my joy, but I kept them private, because I was in the military, and I wanted to seem tough all the time. I never went anywhere without a journal and my bag of pens. I got really sick a few years ago, and words failed me. I could never get them to say anything that felt right, and it seemed like another loss. But something changed: For the first time ever, I felt compelled to paint, to sketch, to learn as much as I could. It felt like putting color on paper had meaning, and it communicated for me when words could not. I never go anywhere without an art journal and some supplies. This habit takes me back almost 2 decades, and it makes me familiar with myself again. My shelf of journals is a source of pride, beauty, and inspiration. Miss Davenport, your journals are beautiful, and I look forward to taking them all on my adventures. The journal looks amazing! I am starting a daily art session with my daughter to get the day started on the right foot. I want to add in working in an ‘optimism’ journal to set my focus for the day ahead. Jane I cannot tell you how art has actually changed my way of thinking and my life. I use my art for so many things relaxation from a stressful day at work, losing myself in playing with my supplies and thoroughly enjoying the process. Not only that your art is a sanctuary for us and I am sure all Davenpeeps would agree!! However what I wanted to convey also is how powerful our journals can be in fact at the beginning of the year my husband and I were looking for a home (not Sydney). I saw the perfect home at the right price for us I decided to do a drawing of it in my Jane Davenport Mixed Media Journal. Not knowing if we would be able to purchase it. I grabbed my husband and said we have to go up North this weekend well we saw the home fell in love with it and put a deposit on it the reason why I have mentioned my story is that I believe what Jane tells us about things becoming reality and being positive in your journal and writing things in it that you want out of life and believing them is so important. We love our home and working hard so that we can retire up there as we both love the beach it is a 250 metre walk to the beach oh and our dogs love it too!! I just want to thank Jane for alerting me to the fact that the art we put in our journals and using this process as something positive changes your life completely. 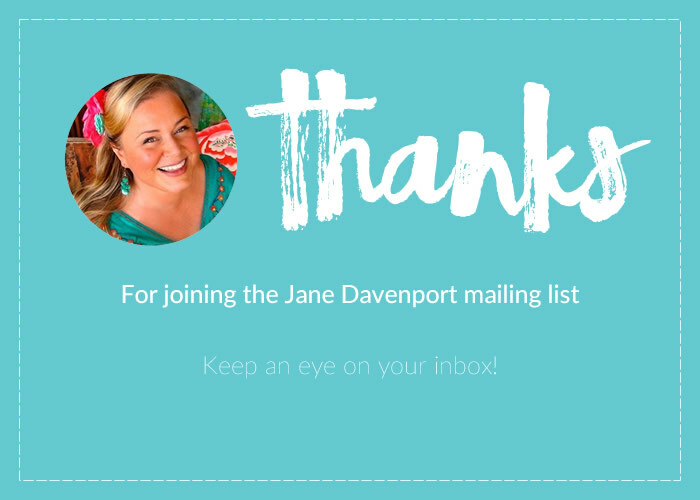 Thank You Jane!! 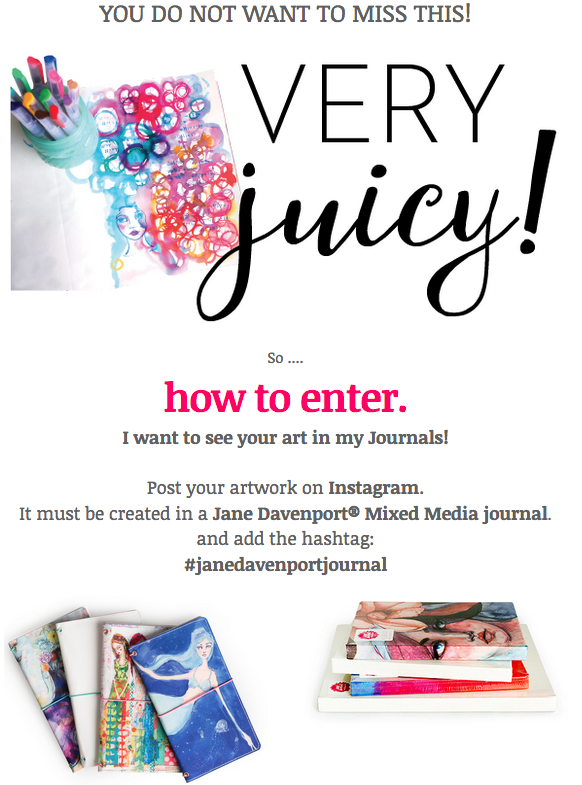 Oh Jane how I would love to win your journal. I love art journaling and refer to your faces book I have all the time. I love your very feminine approach to your beautiful drawings. I’m always seeking inspiration from your work. I love the colours you use. Thank you for allowing us all to have ago!!! I was just re-reading your book about Faces today to pull me out of a glum mood. I love how you encourage us to keep PLAY alive in our lives. So hard to do!